Build Long Lasting Connections with Trusted Partners. Multifamily Connect brings together the most qualified multifamily decision makers and manufacturers for two days of one-on-one meetings and two fun evenings of networking. Partner with us in this unequalled event and connect with key executives and purchasing leaders who will gather to learn about cutting-edge industry products and services. Our forum provides a level of engagement that is unmatched in the industry. Multifamily firms come here to learn about new products. Learn about innovative products to help shape your Multifamily business objectives. Establish new relationships and strengthen existing friendships. Go home with a list of new clients and tremendous ROI! Evening receptions provide endless networking & additional business opportunities. Is Multifamily Connect Right for You? • Do you make Multifamily product purchasing decisions or have influence to? • Do you want to get deals done with trusted partners in shorter meetings? • Do you want to hear about the trends of the market to plan business strategies? • Do you want to enjoy some relaxation & cool networking activities? Multifamily Connect will be held at The Langham Huntington hotel. Delightfully intimate interiors. Genuine and personalised service. Exciting epicurean adventures. 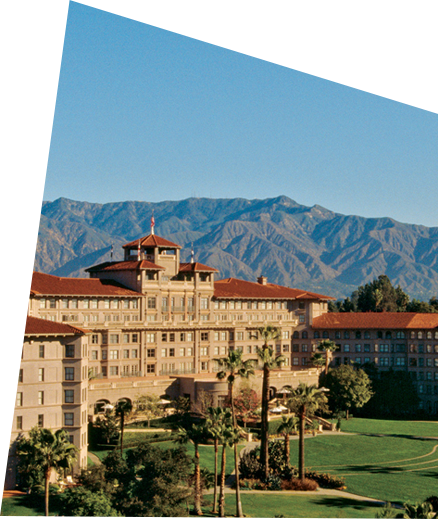 The Langham Huntington, Pasadena, Los Angeles is all this and more. John Burns will present the findings from his book Big Shifts Ahead, a 9000 hour demographic research project that apartment owners and developers across the country have described as "game changing" in terms of making it easier to understand their tenants and their motivations. There's nothing else like it in the multifamily design & construction marketplace. Reserve your place at the table now! Multifamily Connect is presented by the media properties of Multifamily Design+Construction and Building Design+Construction. Our industry experience and knowledge provides access to industry experts, like-minded peers, manufacturers that know your business and brands that provide a top-notch event experience. *Qualified attendees receive 2 nights' accommodations, meals, air travel and airport transfers complimentary on behalf of Multifamily Connect.